Seesaw Theatre’s Inclusive Theatre Festival this past weekend featured a variety of presentations from playwrights, artists, educators, and theatre-makers who shared their practices and discussed expanding their knowledge as a community. 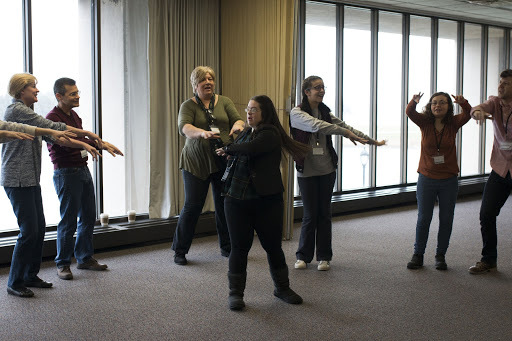 Seesaw Theatre is a Northwestern student organization whose focus is creating multi-sensory devised theatre for those with autism spectrum condition and other developmental differences. Throughout the year, the organization brings creative drama workshops to kids at local schools. In the fall it hosts ITF, and in the winter and spring, its members produce two full-scale immersive shows. During Seesaw productions, audience members are free to move around the space or vocalize at any time throughout the show – free from the judgment that might exist in traditional theaters. A primary goal of ITF is to facilitate connections between Northwestern students and inclusive theatre practitioners. Even though the festival is only in its third year, ITF organizer and Seesaw internal education drector Olivia Zapater-Charrette said that Seesaw has already seen an incredible amount of growth in the scope of the conference. 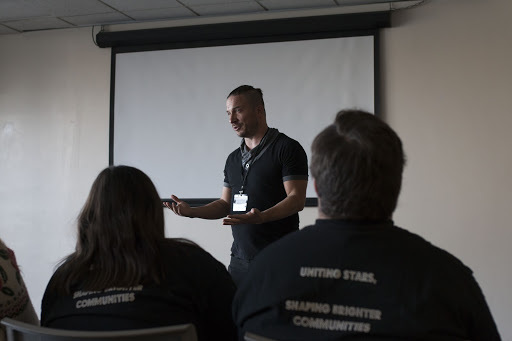 Although most speakers are neurotypical, which means they have no neurological disabilities or disorders, a focus of this year’s conference was to bring in neurodiverse speakers to foster a more open discussion. Presenters and speakers traveled from near and far to attend ITF this year, hailing from Special Gifts Theatre, Children’s Theatre of Madison, Ohio State Theatre Dept., A.B.L.E. Ensemble and more. 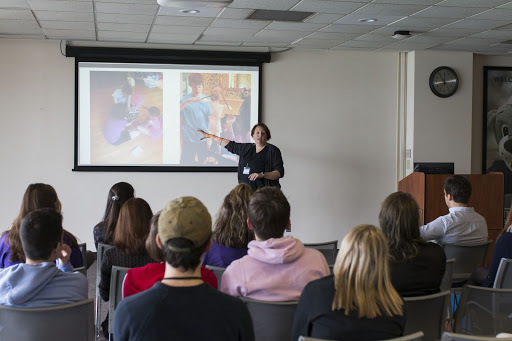 Some put on interactive workshops on autism research, while others discussed drama techniques; artists with disabilities also spoke about their experiences. Regardless of the presentation topic, all presenters touched on the growth of and within inclusive and accessible theater, which is a constantly changing field as more is discovered through experience and exploration. “Our 2018 Inclusive Theatre Festival was a major success in bringing in inclusive arts practitioners from across the country," Seesaw Theatre executive director Christina Layton said. “We are excited about continuing to explore the ways in which ITF, and Seesaw’s year-long special event programming can serve as a resource to the Northwestern student population to learn more about this ever-expanding field,” she said. Editor's Note: Carly Menker is an executive board member of Seesaw. She wrote this story to ensure that the more technical aspects of Seesaw were covered correctly and fairly.